Listen to the panel discussion on SoundCloud! How does the law affect what winds up on our plate? The answer, “regulation” might pop into your mind. But as was discussed in April, at a panel convened at NYU’s School of Law on “the role of local governance in the building of local food systems,” the relationship between policy and food is full of potential and holds keys to the development of urban resilience. Leib pointed out that the subject of food policy has been around in law schools for some time, but what’s changing is that it has become an interdisciplinary subject, with an emphasis on sustainability,infrastructure, regional economic development, transportation and other aspects of urban planning, in addition to the usual focus on the health, safety and regulation of foods. Panelists discussed the idea of having a Food and Agriculture Commissioner. Beckford said, “I like the idea of a New York City Commissioner of Food and Ag that is a funded position with a staff, with resources— as difficult as that is for a city government to do.” But, added Beckford, this person would need to be focused on community accountability, and using creative, innovative approaches to reforming the urban food system. She echoed Cohen’semphasis on civic engagement as the best way to ensure an effective governance strategy in the realm of food. And above all, any commissioner would need to work across agencies, and collaborate with various players in the urban agriculture world—a lesson that Beckford has learned as the leader of the Brooklyn Food Coalition. 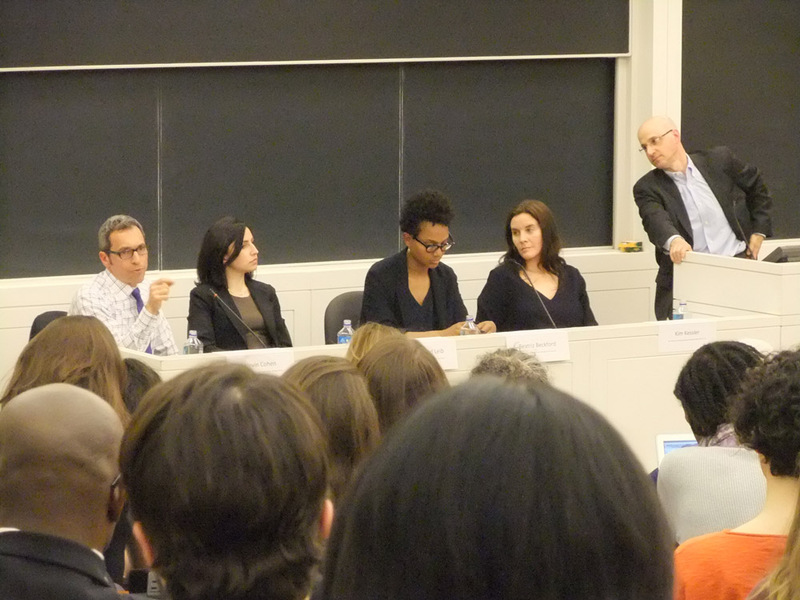 Reflecting on the panel recently, Mark Izeman said: “Local governance is becoming increasingly important for sustainable food law and policy in New York and around the country. Especially with gridlock in Washington, city and state officials are taking action to strengthen their regional food systems." Many gems came out of April’s discussion, and the main takeaways were: (a) more and more cities are understanding the role of inter-agency food policy councils; (b) lawyers and law schools are stepping into food policy planning; (c) urban poverty and health issues can be addressed in innovative ways through food policy; (b) civic engagement is crucial to the efficacy of local food governance; (c) designing solutions through interdisciplinary and unconventional collaborations is essential in local food policy work. With such profound areas to explore, it is hoped that the panel was only the first in a series on the intersection between food and local governance. The conversation has been put on SoundCloud and is accessible here. Green Rabbits welcomes any suggestions or comments about these matters, on this blog or through our general e-mail box: info@greenrabbits.org. Additional notes: The concept for developing a series of forums to address this subject was sparked by a conversations between members of Green Rabbits, lawyer Adam Jaffee, NYU professor Matthew Hoffman and integrative designer Claire Hartten. This first event evolved at NYU thanks to Matthew Hoffman who wrote the guiding text and title of the event, as well as formed a collaborative project team with two NYU graduate student groups, NYU Food Law and the Wagner Food Policy Alliance, as well as fellow Rabbits, Adam Jaffee, Claire Hartten, Christine Rico and Georg Pedersen. And after party with food and drink was provided to reflect the themes of the discussion by Jimmy Carbone’s Food Karma Projects.